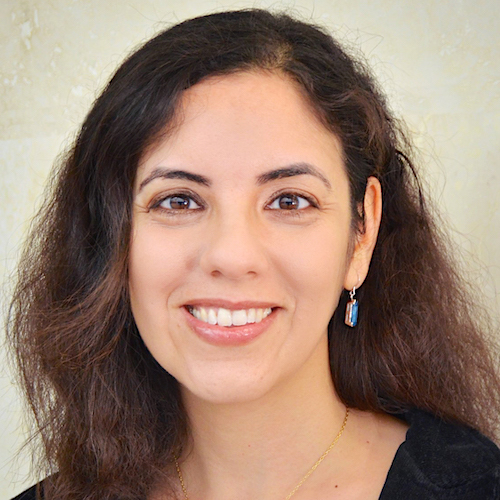 Associate Professor Lisa Aziz-Zadeh trained at the University of California, Los Angeles, receiving her BA degree in Psychology with a minor in neuroscience, and her PhD degree in Psychology with an emphasis in Cognitive Neuroscience. She completed postdoctoral work with Dr. Giacomo Rizzolatti’s laboratory at the University of Parma (Italy), Dr. Richard Ivry’s laboratory at the University of California, Berkeley, and was a fellow at the UCLA Tennenbaum Family Creativity Initiative. She has published numerous papers and book chapters on the mirror neuron system, embodied cognition and language. In 2008-2009, she was an invited fellow at the Institute for Advanced Study at Berlin. Dr. Aziz-Zadeh studies embodied representations, creativity and language from a cognitive neuroscience perspective, using techniques including functional Magnetic Resonance Imaging (fMRI) and Transcranial Magnetic Stimulation (TMS). The aim of this study was to reveal cortical areas that may contribute to the movement difficulties seen in children with Developmental Coordination Disorder (DCD). Specifically, we hypothesized that there may be a deficit in the mirror neuron system (MNS), a neural system that responds to both performed and observed actions. Using functional MRI, 14 boys with DCD (x̄ = 10.08 years ± 1.31, range = 7.83 - 11.58 years) and 12 typically developing controls (x̄ = 10.10 years ± 1.15, range = 8.33 - 12.00 years) were scanned observing, executing and imitating a finger sequencing task using their right hand. Cortical activations of mirror neuron regions, including posterior inferior frontal gyrus (IFG), ventral premotor cortex, anterior inferior parietal lobule and superior temporal sulcus were examined. Children with DCD had decreased cortical activation mirror neuron related regions, including the precentral gyrus and IFG, as well as in the posterior cingulate and precuneus complex when observing the sequencing task. Region of interest analysis revealed lower activation in the pars opercularis, a primary MNS region, during imitation in the DCD group compared to controls. These findings provide some preliminary evidence to support a possible MNS dysfunction in children with DCD. Functional magnetic resonance imaging has significant potential in the study and treatment of neurological disorders and stroke. Region of interest (ROI) analysis in such studies allows for testing of strong a priori clinical hypotheses with improved statistical power. A commonly used automated approach to ROI analysis is to spatially normalize each participant's structural brain image to a template brain image and define ROIs using an atlas. However, in studies of individuals with structural brain lesions such as stroke, the gold standard approach may be to manually hand-draw ROIs on each participant's non-normalized structural brain image. Automated approaches to ROI analysis are faster and more standardized, yet are susceptible to preprocessing error (e.g., normalization error) that can be greater in lesioned brains. The manual approach to ROI analysis has high demand for time and expertise but may provide a more accurate estimate of brain response. In this study, we directly compare commonly used automated and manual approaches to ROI analysis by reanalyzing data from a previously published hypothesis-driven cognitive fMRI study involving individuals with stroke. The ROI evaluated is the pars opercularis of the inferior frontal gyrus. We found a significant difference in task-related effect size and percent activated voxels in this ROI between the automated and manual approaches to ROI analysis. Task interactions, however, were consistent across ROI analysis approaches. These findings support the use of automated approaches to ROI analysis in studies of lesioned brains, provided they employ a task interaction design. Individuals with psychopathy possess emotional and behavioral abnormalities. Two neural regions, involved in behavioral control and emotion regulation, are often implicated: amygdala and ventromedial prefrontal cortex (VMPFC). Recently, in studies using adult criminal populations, reductions in microstructural integrity of the white matter connections (i.e., uncinate fasciculus (UF)) between these two neural regions have been discovered in criminals with psychopathy, supporting the notion of neural dysfunction in the amygdala-VMPFC circuit. Here, a young adult, community sample is used to assess whether psychopathic traits modulate microstructural integrity of UF, and whether this relationship is dependent upon levels of trait anxiety, which is sometimes used to distinguish subtypes of psychopathy. Results reveal a negative association between psychopathic traits and microstructural integrity of UF, supporting previous findings. However, no moderation of the relationship by trait anxiety was discovered. Findings provide further support for the notion of altered amygdala-VMPFC connectivity in association with higher psychopathic traits. The mirror neuron system in primates matches observations of actions with the motor representations used for their execution, and is a topic of intense research and debate in biological and computational disciplines. In robotics, models of this system have been used for enabling robots to imitate and learn how to perform tasks from human demonstrations. Yet, existing computational and robotic models of these systems are found in multiple levels of description, and although some models offer plausible explanations and testable predictions, the difference in the granularity of the experimental setups, methodologies, computational structures and selected modeled data make principled meta-analyses, common in other fields, difficult. In this paper, we adopt an interdisciplinary approach, using the BODB integrated environment in order to bring together several different but complementary computational models, by functionally decomposing them into brain operating principles (BOPs) which each capture a limited subset of the model's functionality. We then explore links from these BOPs to neuroimaging and neurophysiological data in order to pinpoint complementary and conflicting explanations and compare predictions against selected sets of neurobiological data. The results of this comparison are used to interpret mirror system neuroimaging results in terms of neural network activity, evaluate the biological plausibility of mirror system models, and suggest new experiments that can shed light on the neural basis of mirror systems. How does witnessing a hateful person in pain compare to witnessing a likable person in pain? The current study compared the brain bases for how we perceive likable people in pain with those of viewing hateful people in pain. While social bonds are built through sharing the plight and pain of others in the name of empathy, viewing a hateful person in pain also has many potential ramifications. In this functional Magnetic Resonance Imaging (fMRI) study, Caucasian Jewish male participants viewed videos of (1) disliked, hateful, anti-Semitic individuals, and (2) liked, non-hateful, tolerant individuals in pain. The results showed that, compared with viewing liked people, viewing hateful people in pain elicited increased responses in regions associated with observation of physical pain (the insular cortex, the anterior cingulate cortex (ACC), and the somatosensory cortex), reward processing (the striatum), and frontal regions associated with emotion regulation. Functional connectivity analyses revealed connections between seed regions in the left ACC and right insular cortex with reward regions, the amygdala, and frontal regions associated with emotion regulation. These data indicate that regions of the brain active while viewing someone in pain may be more active in response to the danger or threat posed by witnessing the pain of a hateful individual more so than the desire to empathize with a likable person's pain. Observing someone perform an action engages brain regions involved in motor planning, such as the inferior frontal, premotor, and inferior parietal cortices. Recent research suggests that during action observation, activity in these neural regions can be modulated by membership in an ethnic group defined by physical differences. In this study we expanded upon previous research by matching physical similarity of two different social groups and investigating whether likability of an outgroup member modulates activity in neural regions involved in action observation. Seventeen Jewish subjects were familiarized with biographies of eight individuals, half of the individuals belonged to Neo-Nazi groups (dislikable) and half of which did not (likable). All subjects and actors in the stimuli were Caucasian and physically similar. The subjects then viewed videos of actors portraying the characters performing simple motor actions (e.g. grasping a water bottle and raising it to the lips), while undergoing fMRI. Using multivariate pattern analysis (MVPA), we found that a classifier trained on brain activation patterns successfully discriminated between the likable and dislikable action observation conditions within the right ventral premotor cortex. These data indicate that the spatial pattern of activity in action observation related neural regions is modulated by likability even when watching a simple action such as reaching for a cup. These findings lend further support for the notion that social factors such as interpersonal liking modulate perceptual processing in motor-related cortices. We examined the effect of linguistic comprehension on early perceptual encoding in a series of electrophysiological and behavioral studies on humans. Using the fact that pictures of faces elicit a robust and reliable evoked response that peaks at ∼170 ms after stimulus onset (N170), we measured the N170 to faces that were preceded by primes that referred to either faces or scenes. When the primes were auditory sentences, the magnitude of the N170 was larger when the face stimuli were preceded by sentences describing faces compared to sentences describing scenes. In contrast, when the primes were visual, the N170 was smaller after visual primes of faces compared to visual primes of scenes. Similar opposing effects of linguistic and visual primes were also observed in a reaction time experiment in which participants judged the gender of faces. These results provide novel evidence of the influence of language on early perceptual processes and suggest a surprising mechanistic description of this interaction: linguistic primes produce content-specific interference on subsequent visual processing. This interference may be a consequence of the natural statistics of language and vision given that linguistic content is generally uncorrelated with the contents of perception. Background. The posteromedial cortex (PMC) and medial prefrontal cortex (mPFC) are part of a network of brain regions that has been found to exhibit decreased activity during goal-oriented tasks. This network is thought to support a baseline of brain activity, and is commonly referred to as the “default network”. Although recent reports suggest that the PMC and mPFC are associated with affective, social, and self-referential processes, the relationship between these default network components and personality traits, especially those pertaining to social context, is poorly understood. Methodology/Principal Findings. In the current investigation, we assessed the relationship between PMC and mPFC deactivations and psychopathic personality traits using fMRI and a self-report measure. We found that PMC deactivations predicted traits related to egocentricity and mPFC deactivations predicted traits related to decision-making. Conclusions/Significance. These results suggest that the PMC and mPFC are associated with processes involving self-relevancy and affective decision-making, consistent with previous reports. More generally, these findings suggest a link between default network activity and personality traits. Mirror neurons found in the premotor and parietal cortex respond not only during action execution, but also during observation of actions being performed by others. Thus, the motor system may be activated without overt movement. Rehabilitation of motor function after stroke is often challenging due to severity of impairment and poor to absent voluntary movement ability. Methods in stroke rehabilitation based on the mirror neuron system—action observation, motor imagery, and imitation—take advantage of this opportunity to rebuild motor function despite impairments, as an alternative or complement to physical therapy. Here the authors review research into each condition of practice, and discuss the relevance of the mirror neuron system to stroke recovery. Background. Prosody, the melody and intonation of speech, involves the rhythm, rate, pitch and voice quality to relay linguistic and emotional information from one individual to another. A significant component of human social communication depends upon interpreting and responding to another person’s prosodic tone as well as one’s own ability to produce prosodic speech. However there has been little work on whether the perception and production of prosody share common neural processes, and if so, how these might correlate with individual differences in social ability. Methods. The aim of the present study was to determine the degree to which perception and production of prosody rely on shared neural systems. Using fMRI, neural activity during perception and production of a meaningless phrase in different prosodic intonations was measured. Regions of overlap for production and perception of prosody were found in premotor regions, in particular the left inferior frontal gyrus (IFG). Activity in these regions was further found to correlate with how high an individual scored on two different measures of affective empathy as well as a measure on prosodic production ability. Conclusions. These data indicate, for the first time, that areas that are important for prosody production may also be utilized for prosody perception, as well as other aspects of social communication and social understanding, such as aspects of empathy and prosodic ability. Mirror neurons are defined as neurons in the monkey cortex which respond to goal oriented actions, whether the behavior is self-generated or produced by another. Here we briefly review this literature and consider evidence from behavioral, neuropsychological, and brain imaging studies for a similar mirror neuron system in humans. Furthermore, we review functions of this system related to action comprehension and motor imagery, as well as evidence for speculations on the system's ties with conceptual knowledge and language. What are the neural correlates of insight solutions? To explore this question we asked participants to perform an anagram task while in the fMRI scanner. Previous research indicates that anagrams are unique in that they can yield both insight and search solutions in expert subjects. Using a single-trial fMRI paradigm, we utilized the anagram methodology to explore the neural correlates of insight versus search solutions. We used both reaction time measures and subjective reports to classify each trial as a search or insight solution. Data indicate that verbal insight solutions activate a distributed neural network that includes bilateral activation in the insula, the right prefrontal cortex, and the anterior cingulate. These areas are discussed with their possible role in evaluation and metacognition of insight solutions, as well as attention and monitoring during insight. Mirror neurons are defined as neurons in the monkey cortex which respond to goal oriented actions, whether the behavior is self-generated or produced by another. Here we briefly review this literature and consider evidence from behavioral, neuropsychological, and brain imaging studies for a similar mirror neuron system in humans. Furthermore, we review functions of this system related to action comprehension and motor imagery, as well as evidence for speculations on the system’s ties with conceptual knowledge and language. Does sentence comprehension related to faces modulate activity in the fusiform face area (FFA) and does sentence comprehension related to places modulate activity in the parahippocampal place area (PPA)? We investigated this question in an fMRI experiment. Participants listened to sentences describing faces, places, or objects, with the latter serving as a control condition. In a separate run, we localized the FFA and PPA in each participant using a perceptual task. We observed a significant interaction between the region of interest (FFA vs. PPA) and sentence type (face vs. place). Activity in the left FFA was modulated by face sentences and in the left PPA was modulated by place sentences. Surprisingly, activation in each region of interest was reduced when listening to sentences requiring semantic analysis related to that region's domain specificity. No modulation was found in the corresponding right hemisphere ROIs. We conclude that processing sentences may involve inhibition of some visual processing areas in a content-specific manner. Furthermore, our data indicate that this semantic-based modulation is restricted to the left hemisphere. We discuss how these results may constrain neural models of embodied semantics. There is evidence that the right hemisphere is involved in processing self-related stimuli. Previous brain imaging research has found a network of right-lateralized brain regions that preferentially respond to seeing one's own face rather than a familiar other. Given that the self is an abstract multimodal concept, we tested whether these brain regions would also discriminate the sound of one's own voice compared to a friend's voice. Participants were shown photographs of their own face and friend's face, and also listened to recordings of their own voice and a friend's voice during fMRI scanning. Consistent with previous studies, seeing one's own face activated regions in the inferior frontal gyrus (IFG), inferior parietal lobe and inferior occipital cortex in the right hemisphere. In addition, listening to one's voice also showed increased activity in the right IFG. These data suggest that the right IFG is concerned with processing self-related stimuli across multiple sensory modalities and that it may contribute to an abstract self-representation. The theory of embodied semantics for actions specifies that the sensory-motor areas used for producing an action are also used for the conceptual representation of the same action. Here we review the functional imaging literature that has explored this theory and consider both supporting as well as challenging fMRI findings. In particular we address the representation of actions and concepts as well as literal and metaphorical phrases in the premotor cortex. The thesis of embodied semantics holds that conceptual representations accessed during linguistic processing are, in part, equivalent to the sensory-motor representations required for the enactment of the concepts described. Here, using fMRI, we tested the hypothesis that areas in human premotor cortex that respond both to the execution and observation of actions — mirror neuron areas — are key neural structures in these processes. Participants observed actions and read phrases relating to foot, hand, or mouth actions. In the premotor cortex of the left hemisphere, a clear congruence was found between effector-specific activations of visually presented actions and of actions described by literal phrases. These results suggest a key role of mirror neuron areas in the re-enactment of sensory-motor representations during conceptual processing of actions invoked by linguistic stimuli. How do we understand the actions of other individuals if we can only hear them? Auditory mirror neurons respond both while monkeys perform hand or mouth actions and while they listen to sounds of similar actions. This system might be critical for auditory action understanding and language evolution. Preliminary evidence suggests that a similar system may exist in humans. Using fMRI, we searched for brain areas that respond both during motor execution and when individuals listened to the sound of an action made by the same effector. We show that a left hemispheric temporo-parieto-premotor circuit is activated in both cases, providing evidence for a human auditory mirror system. In the left premotor cortex, a somatotopic pattern of activation was also observed: A dorsal cluster was more involved during listening and execution of hand actions, and a ventral cluster was more involved during listening and execution of mouth actions. Most of this system appears to be multimodal because it also responds to the sight of similar actions. Finally, individuals who scored higher on an empathy scale activated this system more strongly, adding evidence for a possible link between the motor mirror system and empathy. A cortical network consisting of the inferior frontal, rostral inferior parietal, and posterior superior temporal cortices has been implicated in representing actions in the primate brain and is critical to imitation in humans. This neural circuitry may be an evolutionary precursor of neural systems associated with language. However, language is predominantly lateralized to the left hemisphere, whereas the degree of lateralization of the imitation circuitry in humans is unclear. We conducted a functional magnetic resonance imaging study of imitation of finger movements with lateralized stimuli and responses. During imitation, activity in the inferior frontal and rostral inferior parietal cortex, although fairly bilateral, was stronger in the hemisphere ipsilateral to the visual stimulus and response hand. This ipsilateral pattern is at variance with the typical contralateral activity of primary visual and motor areas. Reliably increased signal in the right superior temporal sulcus (STS) was observed for both left-sided and right-sided imitation tasks, although subthreshold activity was also observed in the left STS. Overall, the data indicate that visual and motor components of the human mirror system are not left-lateralized. The left hemisphere superiority for language, then, must be have been favored by other types of language precursors, perhaps auditory or multimodal action representations. Previous research indicates that people respond fastest when the motor response is (spatially, functionally, anatomically, or otherwise) congruent to the visual stimulus. This effect, called ideomotor compatibility, is thought to be expressed in motor areas. Congruence occurs when the stimulus and response share some dimensions in their internal representations. If the ideomotor compatibility hypothesis were true, we would expect facilitation when right hand stimuli are presented to the left hemisphere, or left hand stimuli are presented to the right hemisphere. To address this issue, we conducted a simple reaction time experiment with lateralized targets. Participants were instructed to press a button as soon as a target was observed. The target stimulus was a left hand, a right hand, or a neutral control. Each hemisphere showed faster responses to contralateral hand stimuli as compared with ipsilateral hand stimuli, consistent with the ideomotor compatibility hypothesis. The results support an automatic and implicit processing of visual stimuli within motor representations even when no recognition of, or decision about, the stimulus is necessary. Blocking the capacity to speak aloud (overt speech arrest, SA) may be induced by repetitive transcranial magnetic stimulation (rTMS). The possibility, however, of blocking internal speech (covert SA) has not been explored. To investigate this issue, we conducted two rTMS experiments. In the first experiment, we stimulated two left frontal lobe sites. The first was a motor site (left posterior site) and the second was a nonmotor site located in correspondence to the posterior part of the inferior frontal gyrus (IFG) (left anterior site). The corresponding right hemisphere nonmotor SA site was stimulated as a control. In the second experiment, we focused on the right hemisphere and stimulated a right hemisphere motor site (right posterior site), and, as control sites, a right hemisphere nonmotor site corresponding to the IFG (right anterior site) and a left hemisphere anteromedial site (left control). For both experiments, participants performed a syllable counting task both covertly and overtly for each stimulation site. Longer latencies in this task imply the occurrence of an overt and/or covert SA. All participants showed significantly longer latencies when stimulation was either over the left posterior or the left anterior site, as compared with the right hemisphere site (Experiment 1). This result was observed for the overt and covert speech task alike. During stimulation of the posterior right hemisphere site, a dissociation for overt and covert speech was observed. An overt SA was observed but there was no evidence for a covert SA (Experiment 2). Taken together, the results show that rTMS can induce a covert SA when applied to areas over the brain that are pertinent to language. Furthermore, both the left posterior/motor site and the left anterior/IFG site appear to be essential to language elaboration even when motor output is not required. Previous studies indicate that the motor areas of both hemispheres are active when observing actions. Here we explored how the motor areas of each hemisphere respond to the sounds associated with actions. We used transcranial magnetic stimulation (TMS) to measure motor corticospinal excitability of hand muscles while listening to sounds. Sounds associated with bimanual actions produced greater motor corticospinal excitability than sounds associated with leg movements or control sounds. This facilitation was exclusively lateralized to the left hemisphere, the dominant hemisphere for language. These results are consistent with the hypothesis that action coding may be a precursor of language. Action observation facilitates corticospinal excitability. This is presumably due to a premotor neural system that is active when we perform actions and when we observe actions performed by others. It has been speculated that this neural system is a precursor of neural systems subserving language. If this theory is true, we may expect hemispheric differences in the motor facilitation produced by action observation, with the language-dominant left hemisphere showing stronger facilitation than the right hemisphere. Furthermore, it has been suggested that body parts are recognized via cortical regions controlling sensory and motor processing associated with that body part. If this is true, then corticospinal facilitation during action observation should be modulated by the laterality of the observed body part. The present study addressed these two issues using TMS for each motor cortex separately as participants observed actions being performed by a left hand, a right hand, or a control stimulus on the computer screen. We found no overall difference between the right and left hemisphere for motor-evoked potential (MEP) size during action observation. However, when TMS was applied to the left motor cortex, MEPs were larger while observing right hand actions. Likewise, when TMS was applied to the right motor cortex, MEPs were larger while observing left hand actions. Our data do not suggest left hemisphere superiority in the facilitating effects of action observation on the motor system. However, they do support the notion of a sensory-motor loop according to which sensory stimulus properties (for example, the image of a left hand or a right hand) directly affect motor cortex activity, even when no motor output is required. The pattern of this effect is congruent with the pattern of motor representation in each hemisphere.